Feral pigeons are responsible for untold millions of dollars of damage each year. The uric acid in their feces is highly corrosive. Also, debris from roosting flocks can build up, backing up gutters and drains thus causing damage to roofs and other structures. Extensive damage to air conditioning units and other roof top machinery is commonplace.There are also other economic costs that can be associated from pigeon’s taking up residence such as slip and fall liability and projection of an unclean, dirty company image. 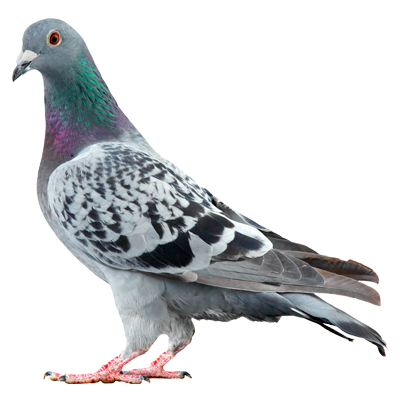 Besides physical damage, the bacteria, fungal agents and ectoparasites found in pigeon droppings sometimes represent a health risk.